Wild dogs pose a significant threat to livestock in the New England and, until now, calculating the economic cost of these cunning predators has proven difficult. Not to be outwitted, University of New England PhD candidate Salahadin Khairo, an economist with the NSW Department of Primary Industries (DPI), is surveying landholders to evaluate the economic impact of wild dog control in communities throughout the Northern Tablelands and North Coast. It is the first economic assessment of the impact of dogs in northern NSW for 30 years and aims to inform strategies to manage them. Northern NSW wild dog facilitator David Worsley says that at least 3870 head of livestock were reported killed by wild dogs in the Northern Tablelands from June 2015-June 2017 and all but 56 were sheep. The mobility of wild dogs means that one land manager’s efforts may potentially benefit another some distance away, and vice-versa. Ground and aerial baiting, exclusion fencing, guardian animals, trapping and shooting remain the most common control measures. Salahadin said landscape-scale management, using a combination of techniques and policy mechanisms, has been shown to increase the cost-effectiveness of control. He hopes to enlist about 800 landholders on large and small properties, including remote farms and those closer to urban areas, to complete the survey periodically between now and 2021. It seeks information on precise numbers of stock lost and mauled, approaches to dog control, and how losses have influenced stocking rates and other business decisions, to better represent the full economic cost of wild dogs. The survey takes less than 30 minutes to complete and is available here. 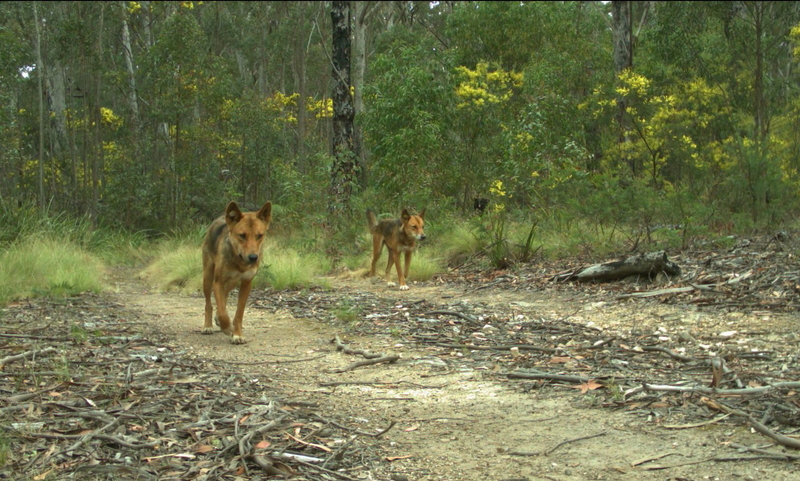 Image: Ear-tagged wild dogs passing a camera trap. Provided by Dr Guy Ballard.